A team from City Style and Living just returned from Lithuania in Eastern Europe near the Baltic sea. It was a magical trip (not the least becuase much of it was enshrouded in mist). From the forests to sand dunes, the sea side to the cities it was an amazing adventure. The statue of Egle in Palanga, Lithuania - a woman for all time. At Rumšiškės, the outdoor ethnographic museum woodland. A windmill in Rumšiškės, which is dedicated to the historical architecture of each region of Lithuania. A pond dressed on each side in Fall's wardrobe of plums and golds. A stop in Nida to gaze from atop the unusual sand dunes. Each region boasts its own unique architecture and here in Nida it is decidedly nautical with themed wind vanes. The statues in Klaipėda are an enigma, this cat has a mouse friend, there is an eighteenth century gentleman falling from a rooftop, a dragon and many more. Spend an afternoon looking for them all. Kepta duona, fried dense rye bread with cheese from a local restaurant - delicious. Kaunas castle on a Fall day. Kaunas church with domes and columns, many of the country's churches are being restored. Near Šiauliai is the hill of crosses a beautiful, moving area. Here a man contemplates where he will nail his cross. I love that you get to do such fun things, where is this place? 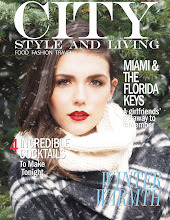 I love this magazine City Style and Living that goes to such weird places, tell us more never heard of Lithuania.